Born in Carlisle, Pennsylvania, Abi Stafford began her dance training at the age of six with the Central Pennsylvania Youth Ballet in Carlisle, under the direction of Marcia Dale Weary. Ms. Stafford entered the School of American Ballet (SAB), the official school of New York City Ballet, full time in the fall of 1998. At SAB, she performed the role of Clarinet in Jerome Robbins’ Fanfare and a role in Christopher Wheeldon’s Scènes de Ballet for the SAB’s Annual Workshop performances. Ms. Stafford was invited to become an apprentice with New York City Ballet in November 1999 and joined the corps de ballet in January 2000. 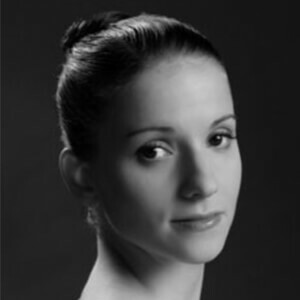 She was promoted to the rank of soloist in January 2002 and principal dancer in December 2007.